Samsung Galaxy A8 2016 launched in South Korea. This model is rumored and expected in the market over the past two months after the success of Samsung Galaxy A8. The price tag in India would be Rs 39,240/- ($588). With a pre-order one can get it from Oct 1st in South Korea. 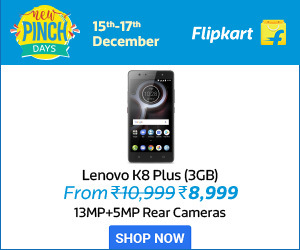 The benchmark results made it possible to guess with the specifications and features. 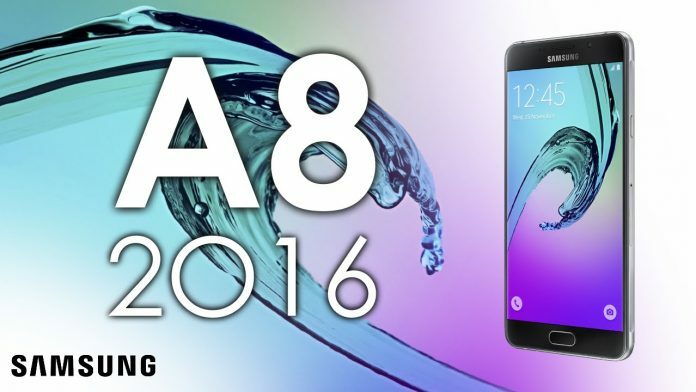 The Samsung Galaxy A8 2016 was spotted with is user manual a week ago. Galaxy A8 comes with the fine full-Metal body. Some of the other features are very interesting with this new 2016 edition. This smartphone is available in South Korea as of now, and not yet confirmed by Samsung when it hits the Indian market. The color variant comes with Blue, Grey and Pink colors to the customers. Samsung Galaxy A8 2016 comes with dual SIM(Nano+Nano) and runs with Android 6.0.1 Marshmallow ou of the box. Powered by its own chipset Octa-core Exynos 7420 with four Cortex-A57 and Cortex-A53 cores clocked at 2.1GHz and 1.5GHz respectively. Large AMOLED Display of 5.7-inch full-HD(1080×1920). It Bears 3GB of RAM. The camera department is a 16-megapixel main shooter and an 8-megapixel front facing, comprising a Flash module. Both the Cameras can record HD Videos(1080p). Features like Geo-tagging, face detection, panorama, touch focus. Inbuilt storage offered are 32GB and 64GB variants which are expandable via external Micro SD card up to 256GB. Backs a Battery capacity of 3300mAh non-removable Li-ion battery. Supports 4G LTE along with connectivity options including Bluetooth, Wi-Fi (802.11 a/b/g/n/ac) and Wi-Fi Direct, Hotspot, GPS, A-GPS, FM Radio, Micro USB 2.0, NFC. The other remarkable feature of Samsung Galaxy A8 2016 is a Fingerprint Scanner mounted on the Home button and also supports Samsung Pay. Stay in touch for information on its launch to other markets especially in India.